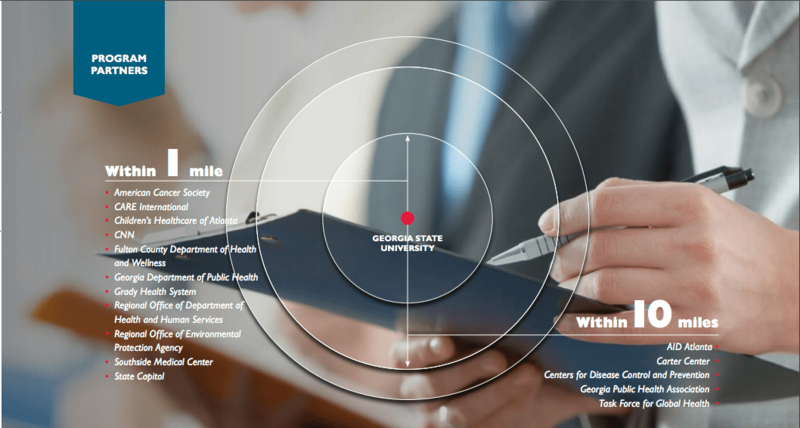 The School of Public Health is located in the heart of Atlanta and a short distance from the Centers for Disease Control and Prevention, local government agencies and international non-governmental organizations. The School provides a practice-based education in a city many consider the U.S. capital of public health, preparing our students to become leaders who understand complex health problems that affect cities worldwide. 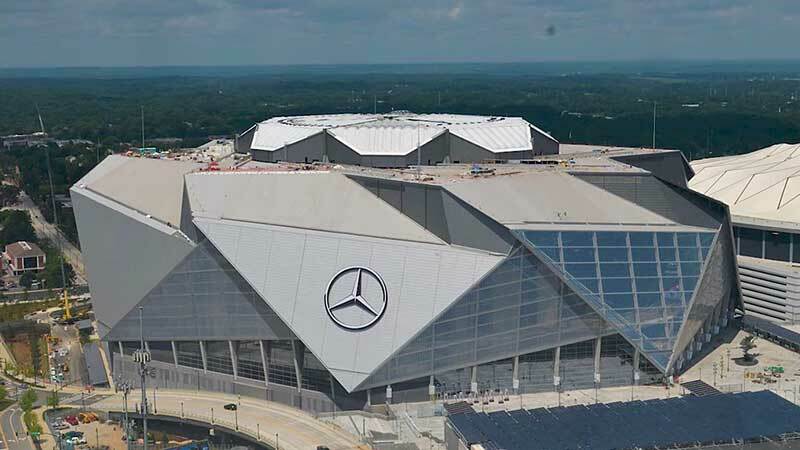 More than 30 colleges and universities are located in the metro Atlanta area. Most notably are Clark –Atlanta University, Emory University, Georgia Institute of Technology (Georgia Tech), Georgia State University, Morehouse College and Morehouse School of Medicine and Spelman College. Additional regional public and private colleges and universities include Agnes Scott College, Columbia Seminary, Clayton State University, Georgia Gwinnett College, Kennesaw State University, and Oglethorpe University.